Was Ellen White Really Ahead of Her Time? Contrary to popular myth, Mrs. White brought few, if any, new health reforms to the world. Other popular health reformers were promoting most, if not all of her teachings on health, before she began teaching them. Having been raised up in the Methodist church, Mrs. White was most likely familiar with the writings and practices of church founder John Wesley. Wesley believed that health and healing were an integral part of the gospel message. In 1746, as a young evangelist Wesley studied medicine and began visiting the sick, prescribing various natural remedies for their health problems. By 1753 he was testing the curative powers of electricity, which he described as the "most efficacious medicine, in nervous disorders of every kind, which has ever yet been discovered." In addition to his many books and tracts on health, Wesley founded a system of Methodist hospitals that is one of the largest private healthcare systems in the world today. Health reform was an important subject amongst some Adventist pioneers, particularly Captain Joseph Bates. There is no doubt that Bates had a strong influence on the Whites and the development of the early SDA Church. Bates was a health reformer who quit using tobacco in 1821 and crusaded against "tobacco and snuff boxes, and pipes." He further decried the use or trafficking of "alcoholic drinks, from brandy to cider, and beer. "2 According to the White Estate, "He later quit using tea and coffee and in 1843 became a vegetarian. "3 Dr. Ronald Numbers advises us that Bates also stopped using "butter, cheese, greasy foods, and rich pastries. 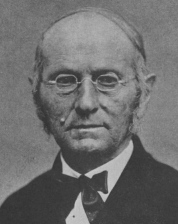 "4 Thus, by 1843, Bates had already laid the foundation for the SDA "health message" even before he met Ellen and James White. Drug medicines are "most pernicious"
Spices, such as mustard, pepper, and vinegar are "pernicious"
Tea is "one of the most destructive poisons"
Meals should be six hours apart. Two meals a day is "better for sedentary persons"
Bread is the "staff of life." Fresh bread should not be eaten while still warm. Use of "wine" and "strong" alcoholic drinks is proscribed. "Hot drinks [coffee and tea] are not for the body". Fruits, vegetables, and grains will bring health to the body. Meat is allowed, but should be eaten "sparingly". Avoid all simulating and unnatural foods, living "entirely on the products of the vegetable kingdom and pure water." Butter should be used "very sparingly." Fresh milk and eggs were frowned upon but not proscribed. Cheese was permitted only if mild and unaged. Condiments and spices, such as pepper, mustard, and cinnamon, were banned as being "all highly exciting and exhausting." Tea and coffee, like alcohol and tobacco, poisoned the system. Pastries, with the exception of fruit pies, were "among the most pernicious articles of human ailment." Sleep was preferable before midnight. Sleep should be taken in a well-ventilated room. A sponge bath every morning was desirable. Clothing should not be restrictive. "All medicine, as such, is itself an evil." Larkin B. Coles was less known than Graham or Lewis. However, he is of special interest to Adventists because he was a Millerite preacher-physician. Before his death in 1856 he authored two books on health. In his books he advocated fresh air, exercise, a vegetarian diet, non-use of stimulants, reform in dress, sexual purity, and drugless medicine. Mrs. White obtained a copy of Cole's book on health, and a large number of her health writings appear strikingly similar to Coles' writings. She rarely disagrees with Coles on any health subject, and nearly every health reform that Coles proposed in his book is also found in her books. Ellen White was a "late-comer" to health reform. She did not receive her first "vision" on health reform until 1863, a full 30 years after Prophet Joseph Smith's vision. While Mrs. White was still feasting on pork in the early 1850s the health reform movement was in full swing in America. Health and temperance lecturers traveled throughout the country, speaking in churches and halls, promoting the vegetarian diet, and warning against alcohol, tobacco, and corsets. A full decade before Mrs. White received her "vision" on health reform, all the major tenets of her health teachings were being taught by nationally-known non-Adventist Christian health crusaders. While she never achieved the fame in the health reform arena attained by fellow prophet Mary Baker Eddy--whose first book Science and Health, published in 1875, sold over 10 million copies--Mrs. White's later efforts proved more successful. With the assistance of her staff of professional writers and editors, she was able to produce a much better health reform book which is still available today: Ministry of Healing. Was Ellen White more accurate than other health reformers? Joseph Bates, The Sealing Message, pp. 67-68. 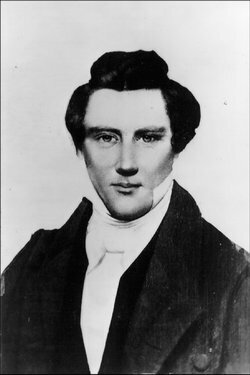 "Pathways of the Pioneers, Joseph Bates", http://www.whiteestate.org/pathways/jbates.asp, extracted Oct. 25, 2009. Ronald Numbers, Ph.D., Prophetess of Health, 1992, p. 38. Sydney Cleveland, White-Washed, (1998), pp. 93-100. Joseph Smith, In Doctrine and Covenants, section 89, verses 5-17. Sylvester Graham, Lectures on the Science of Human Life, (1849), pp. 224-286. Sylvester Graham, Lecture to Young Men on Chastity, pp. 83, 144-148. Arthur White, Ellen White, vol. 2, p. 73. Ellen White, letter 15, 1871 to Edson and Emma White, November 15, 1871, Manuscript Releases, vol. 5, p. 397, para. 1. Larkin B. Coles, The Beauties and Deformities of Tobacco-Using, 1853, p. 142. Ellen White, An Appeal to Mothers, p. 5.